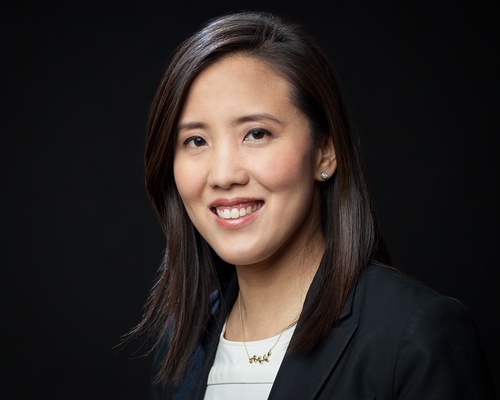 Born in America and raised in Taiwan, Janet Chen has led an active and diverse career as a performing musician, arts administrator, and music educator. She holds both a bachelor's degree from the Oberlin Conservatory of Music, and a master's degree in flute performance from the University of Cincinnati College-Conservatory of Music. Janet joined ProMusica in 2003 serving as its Director of Operations and Education and was then promoted to the position of Executive Director in 2006. She completed the Executive Program for Nonprofit Leaders in the Arts a joint program of the Stanford Graduate School of Business and National Arts Strategies; and also participated in the Executive Fellowship Program with the Jefferson Center Academy for Leadership and Governance. In 2012, Janet was selected as one of Columbus Business First's "Forty Under 40", and also one of "52 Young Professionals to Know" for the Columbus Young Professionals' CitYPulse Magazine. She has been featured in Columbus CEO Magazine, The Columbus Dispatch, and is a selected artist as part of Columbus, Ohio's "Art Makes Columbus" marketing campaign. Most recently, she was named a 2018 YWCA Columbus Woman of Achievement and honored by Business First as one of the Most Admired Executives in Central Ohio. Janet serves on the Board of the Columbus Music Commission and is a member of the Columbus Cultural Leadership Consortium. Prior to joining ProMusica Chamber Orchestra, Janet served as Assistant Principal Flute with the Taipei Symphony Orchestra in Taipei, Taiwan. She also appeared as guest soloist several times performing Nielsen's Flute Concerto and Mozart's Concerto for Flute and Harp. Janet also spent two summers as a flute instructor at the Interlochen Center for the Arts in Michigan, where she coached and taught middle and high school students who attended the Interlochen Summer Arts Camp. Danzmayr is Chief Conductor of the Zagreb Philharmonic Orchestra, the first to hold this title in seven years. As leader of this orchestra he is following in the footsteps of famous conductors like Lovro von Matacic, Kazushi Ono and Dmitri Kitajenko. 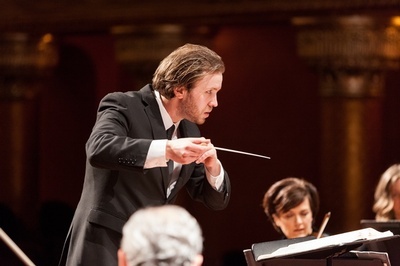 Performing regularly to sold out audiences in Zagreb´s Lisinski Hall and having been awarded the Zagreb City Award, Danzmayr and his orchestra also already toured to the Salzburger Festspielhaus, where they received standing ovations performing the prestigious New Year's concert and to the Wiener Musikverein. In addition, David is Music Director of the ProMusica Chamber Orchestra, an orchestra comprised of musicians from all over the USA. His contract has recently been extended. Previously David Danzmayr served as Music Director of the Illinois Philharmonic Orchestra in Chicago, where he was lauded regularly by both the Chicago Tribune and Chicago Classical Review for the performances. He was also the only conductor in the Chicago area, who programmed a piece of American music on every concert. Thank you to Anthem BlueCross BlueShield for sponsoring this event! And thank you to Nothing Bundt Cakes for providing the dessert!